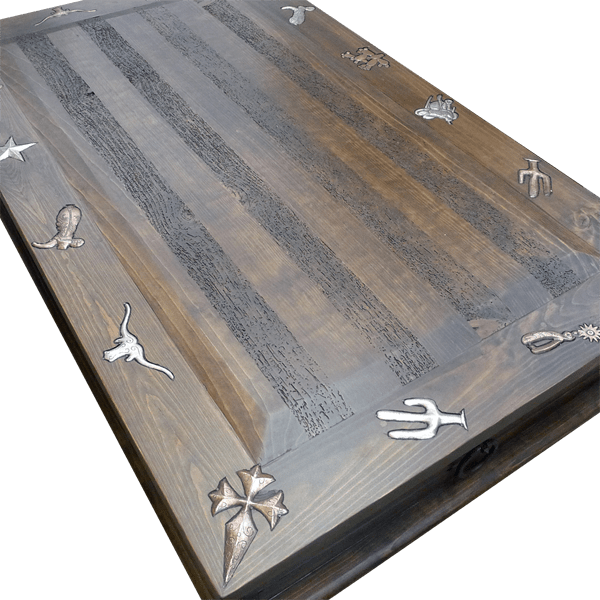 Enhance your Western décor with this handcrafted, Western style coffee table adorned with Spanish colonial details and Mexican, silver finished “milagros”. 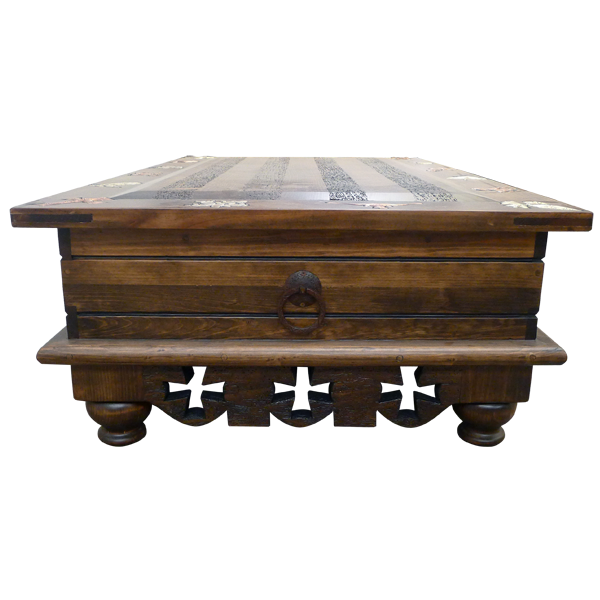 The top of the coffee table is made with reclaimed wood, and all of the sides of the top are embellished with inlaid, silver finished, hand forged, iron decorations, including cowboy boots, stars, crosses, and hearts. The front side of the coffee table has a wide, rectangular drawer, with a hand forged, iron ring handle in its center. Above the base is a solid wood molding that is repeated on the lateral sides of the coffee table. Each lateral side of the coffee table also has a hand forged, iron ring in its center. 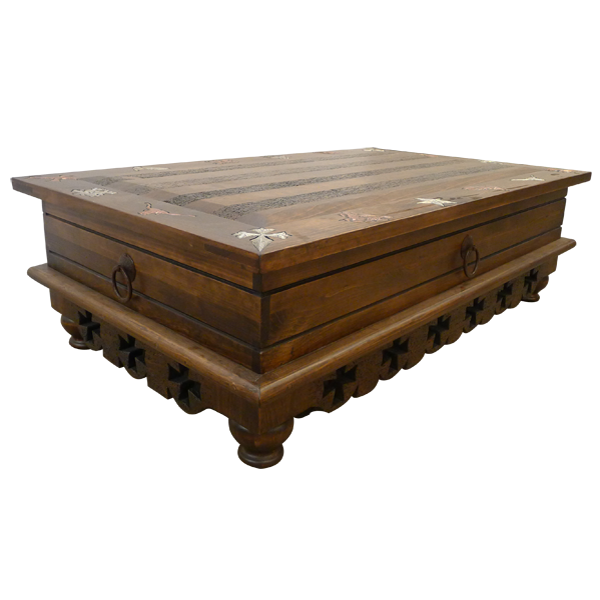 The base of the coffee table has a solid wood skirt adorned with hand carved, scalloped designs and cut out cross details. 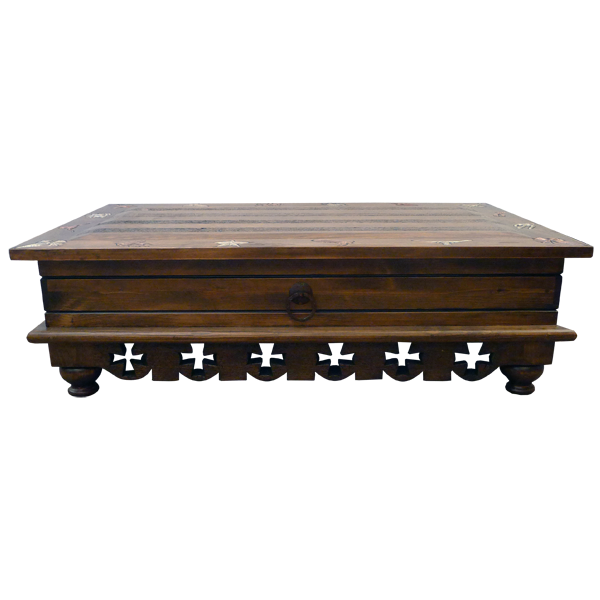 The coffee table has a beautiful, antique, dark finish, and it made with the best, sustainable, solid wood available. It is 100% customizable.